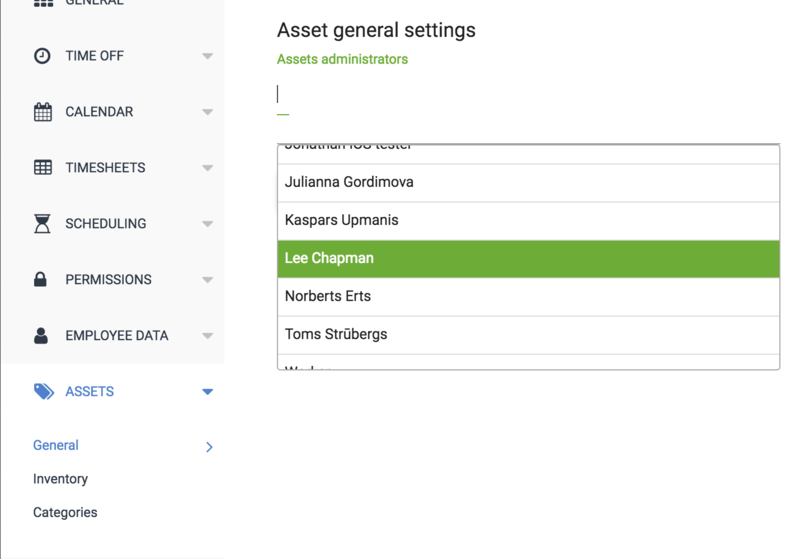 Administrators of the account can set up a specific employee to manager assets. In many companies, this is usually somebody from the IT department. Head to Settings > Assets > General.